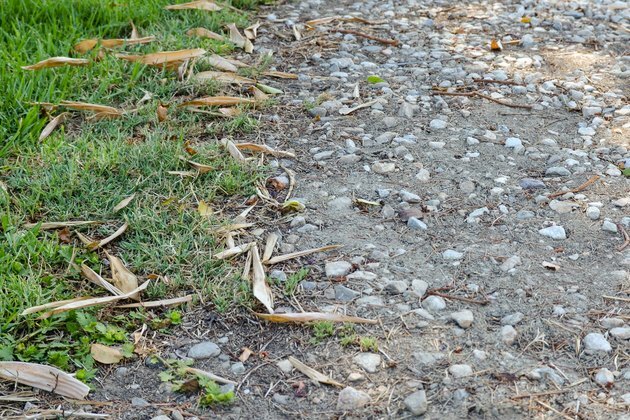 While hiring a contractor to install a walkway with store-bought pavers or stepping stones might be a quick way to replace a well-worn path, it can also be expensive. An alternative is to make and install your own concrete pavers, which requires some sort of temporary mold to hold the concrete while it cures. 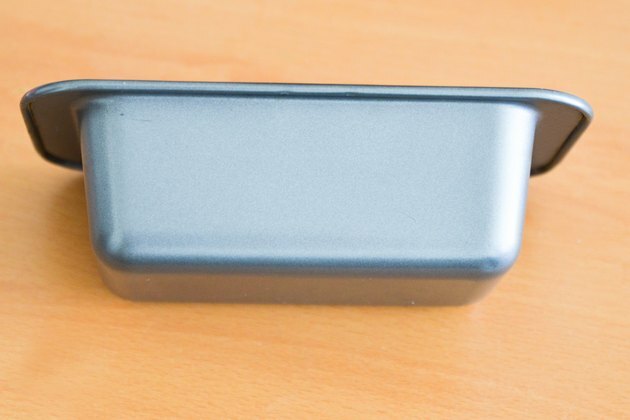 It's possible to purchase ready-made molds, but you can easily make your own for a custom look. Many items found around your home can be used to make the more common mold shapes while creative shapes require special materials. You can use scrap boards and plywood to make square or rectangular paver molds. The mold resembles a wood-frame box with an open top and short walls around the edge. The height of the frame boards can vary depending on the height of the pavers. For pavers less than 12 inches wide, use boards that are wide enough to make pavers 2 to 2 1/2 inches thick. Larger pavers require boards wide enough to make 3-inch-thick pavers. 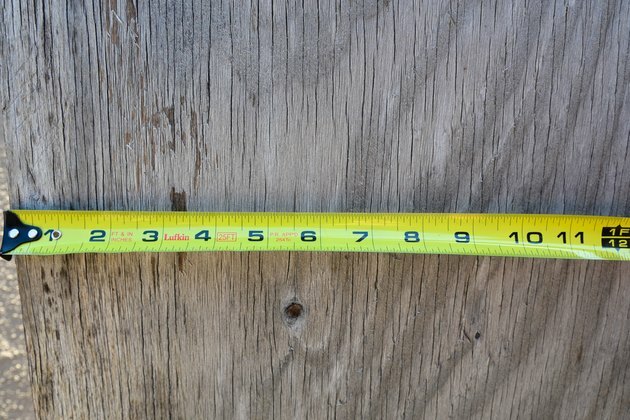 For example, to make a 10-inch-square, 2 1/2-inch-thick paver, cut a 10-inch square piece of plywood, two one-by-three boards 10 inches long and two boards 9 1/4 inches long. Use screws to assemble a frame that is 10 inches by 10 inches, then attach the plywood to the bottom with more screws. One of the easiest homemade molds for circular pavers starts with a 5-gallon bucket. These are inexpensive -- or free if you recently bought 5 gallons of paint -- and available at most home improvement stores. 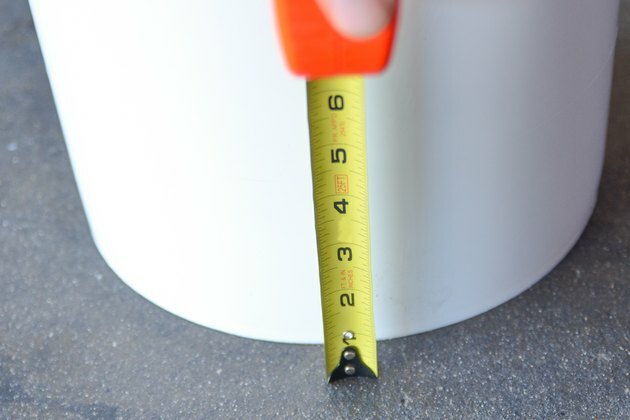 Simply draw a line around the bucket, 2 to 3 inches up from the bottom, and use a sharp utility knife to cut along the line. Roof flashing cut into 3-inch strips and bender board landscape edging can also be used to make bottomless round molds. These must be placed on flat ground when you fill the mold with concrete. Wear gloves to protect your hands from cuts. Decide on the size of the circular paver and cut the flashing to size with tin snips, Use a saw to cut the bender board. Tape the ends together with duct tape. Thick, 2- to 3-inch high-density upholstery foam, available from fabric or hobby stores, can be used to make just about any shape paver. 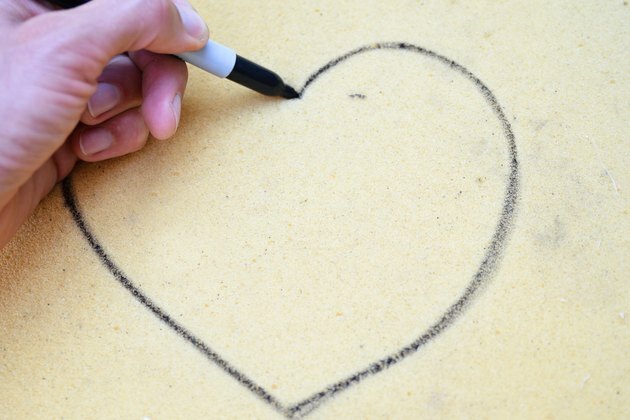 Draw the shape you want, such as a heart, on the middle of a square piece of foam and cut the foam out with shape scissors or a utility knife. For stability, warp duct tape around the perimeter of the foam. Line the inside of the shape with a trash bag to keep the concrete from bleeding into the foam. Many items found around your home can be used with little or no preparation. Cake pans can easily be used to make square or rectangular pavers. Even 2-inch-deep pizza boxes can be used, but only a few times because the cardboard will not hold up for multiple pavers. Disposable pie tins, the lid from the top of a small rubber garbage can and plastic or vinyl planter saucers make good circular molds. You can also use a nursery flat or tray with a mesh bottom for a mold. Simply line the tray with plastic and when you take the paver out of the mold, it will have an interesting diamond pattern on the top.